<< Merry Christmas, Christmas Realness! The legendary Bob Mould of Husker Du and Sugar plugged in for a passionate set of electric rockers from his latest release, Beauty & Ruin. The staff couldn’t help but get excited for this one, too, as Mould is easily one of our musical heroes. 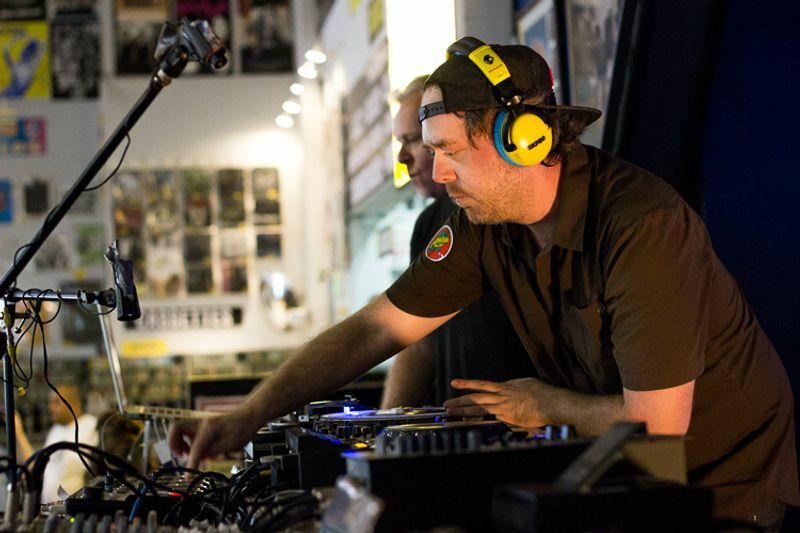 One of the greatest turntable DJs alive came out to Amoeba to show off a brand new set mixing old tape and new tricks. 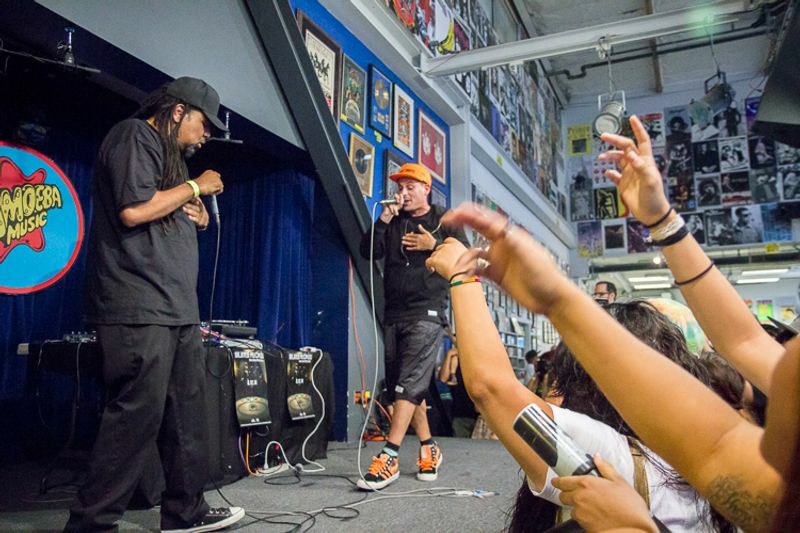 And tons of fans came out, even without us pranking them that Cut Chemist was going to sell his whole record collection. 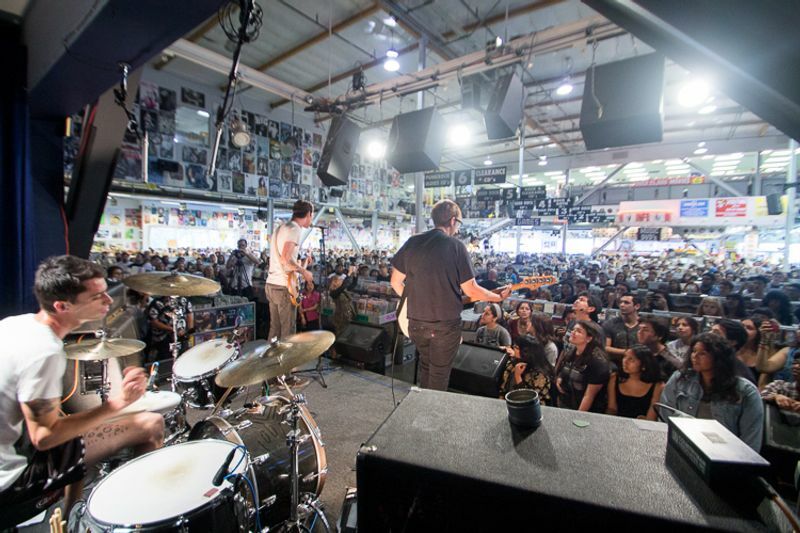 Joyce Manor fans came out in droves to see the young emo-revivalist band tear it up onstage during a fierce Amoeba Hollywood performance to celebrate the release of their new album, Never Hungover Again. 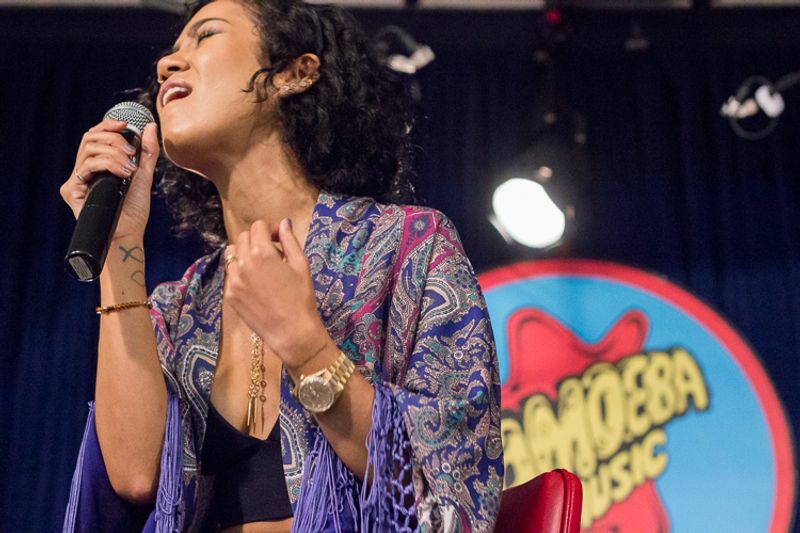 Jhene Aiko’s appearance at Amoeba had fans lining up around the blog and singing along to her hit “The Worst,” even doing their own renditions of her songs onstage. 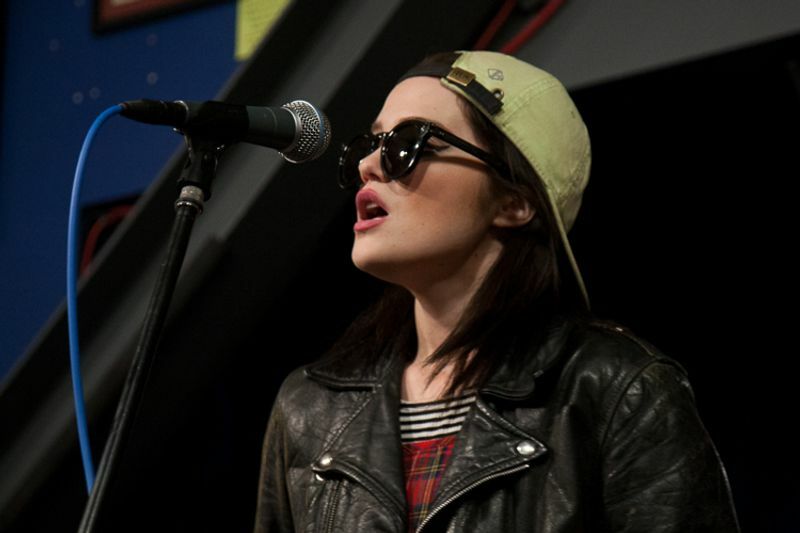 It was obvious from the show that she had successfully transitioned from ace guest star on various hip-hop tracks to a star in her own right with the release of her long-awaited debut, Souled Out. Read my review of the show here. 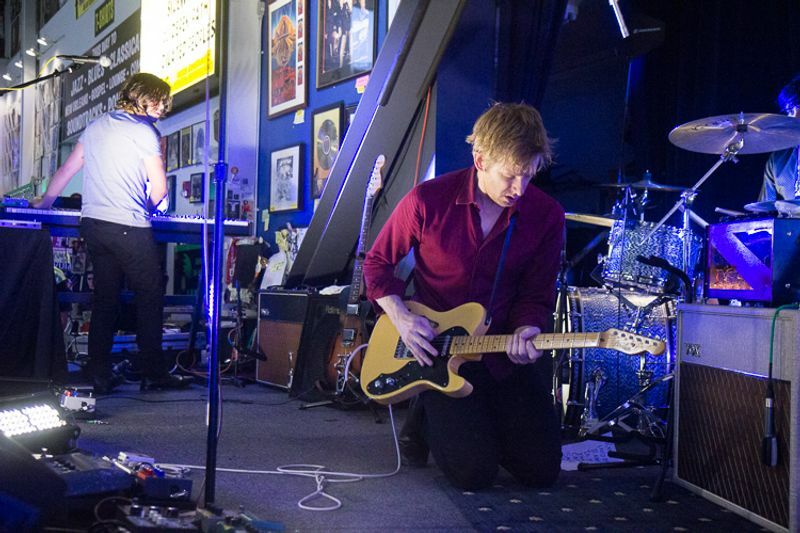 Spoon put on a furious performance of songs from their new album (and one of the year’s best), They Want My Soul, as well as a few songs from their many other great albums that showed just how much Spoon has become one of our great veteran indie-rock bands. Read my review of the show here. The acclaimed underground L.A. hip-hop trio came back after eight years with a new album called Directors of Photography. The time away just made fans just grow even fonder of the band as they waved their hands clapped along for this rare performance. 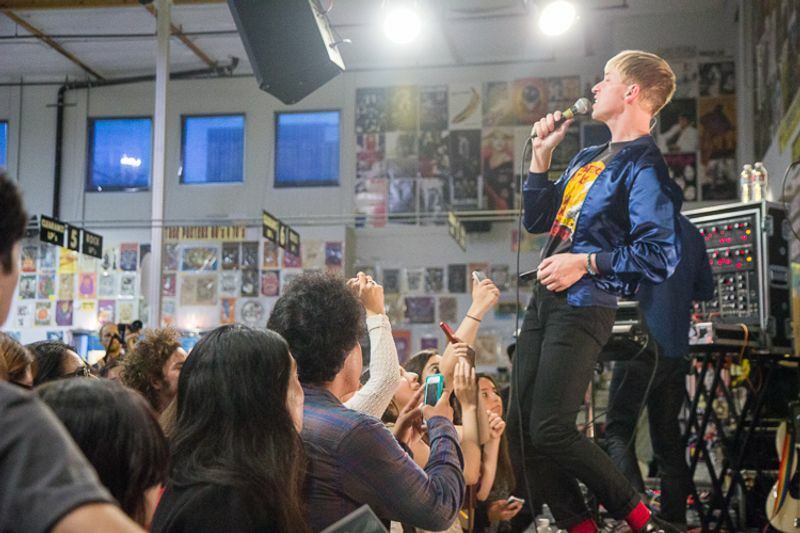 A crowd of kids lined up around the block for the chance to see these emoting surf-pop pinups play a set of catchy tunes from their latest album, Encyclopedia. For anyone who missed the chance to see the band at their sold-out show at the Mayan, their set at Amoeba Hollywood didn’t disappoint. 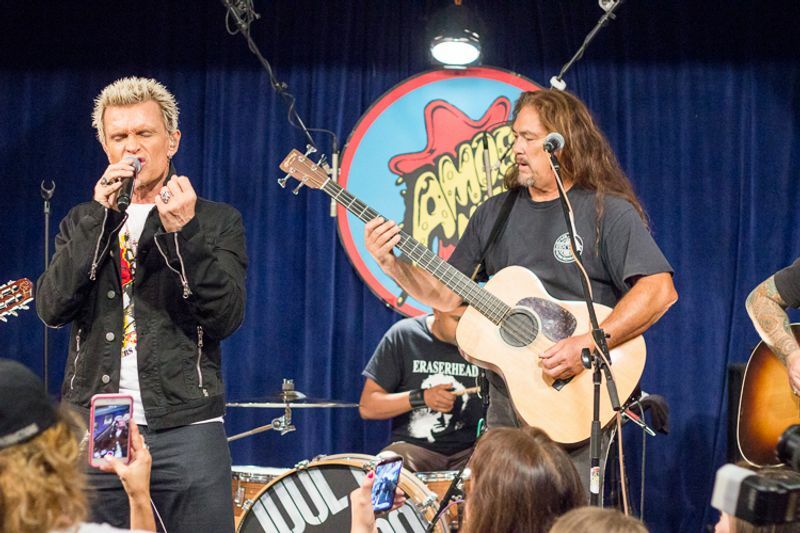 Another one that had folks lining up around the block was Billy Idol’s October performance, in which he treated fans to old favorites like “White Wedding” and “In the Midnight Hour (Rebel Yell),” screaming and raising his fist into the air like no time had passed since these songs first hit.